This is a short review on the Ubuntu MATE 17.10 Alpha 2 version. The changes on Ubuntu MATE at this version are very interesting with new HUD, Global Menu, greater Mutiny Layout & Super Key support, so that the official announcement said this release is for "Unity 7 refugees"! I hope this simple review can give you overview what wonderful changes we will have at the final release! 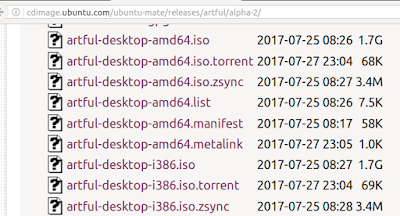 At this time (18 August 2017) you can download Alpha 2 from link below. This link is temporary so you may find it later replaced with beta-1, beta-2, or even the final stable. However, you can upgrade to final release later if you install this alpha version (but do it at your own risk). Ubuntu MATE community held a wallpaper competition for 17.10 for 13 June-13 July 2017 and the winner is Ubuntu MATE Northern Light 4K by Richard. This aurora photo with Ubuntu MATE logo on the center is the default wallpaper on Ubuntu MATE 17.10. 2. New: Mutiny is Greater! 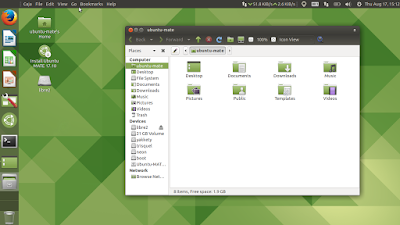 Ubuntu MATE developers held a poll at 22 April 2017 to determine default desktop layout and the result is Traditional (so, no change). 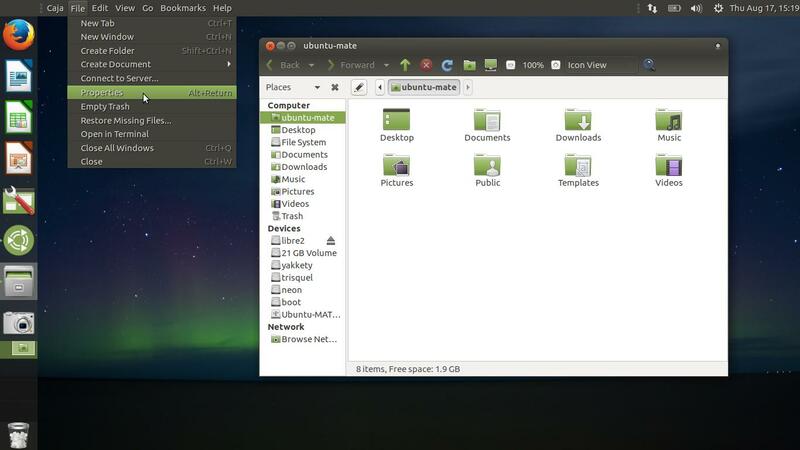 However, for you leaving Unity 7 because Ubuntu is going back to GNOME, you need to see Mutiny layout (panels arrangement so it looks like Unity)! Press Super+Alt to reveal the HUD! 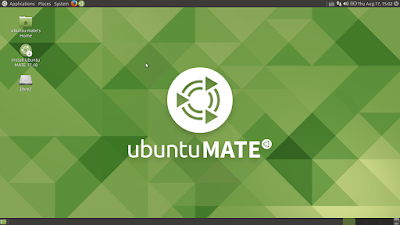 Yes, at 17.10 we got this new HUD feature on Mutiny Layout so you can search & execute any menu/submenu from a running application without using mouse on Ubuntu MATE. 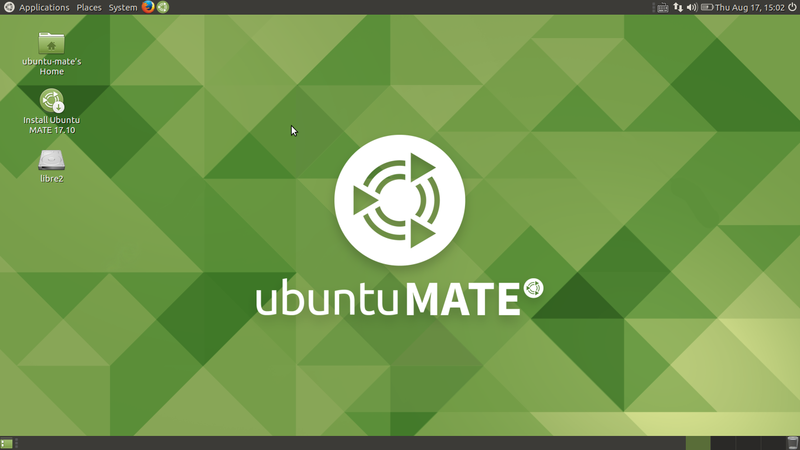 So now Ubuntu MATE looks much closer to replace Ubuntu Unity. Note: change your default layout to Mutiny first via MATE Tweak to enjoy it. On Mutiny Layout, we got Global Menu as well! For you don't know, Global Menu is a default feature on Unity and Mac OS X desktop, to save more desktop space by moving every menu bar onto top panel. The good news is, this Global Menu is compatible with both GTK+ and Qt, with Firefox, LibreOffice and so on! 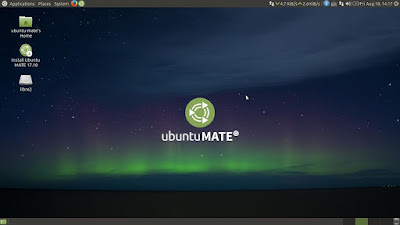 The whole desktop is MATE 1.18 and they come with updates. 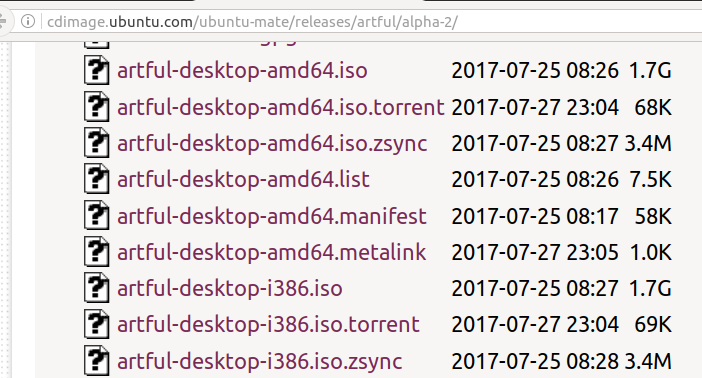 So, you see Caja has been updated to 1.18.3, Pluma Text Editor 1.18.2, MATE Terminal 1.18.1, MATE Control Center 1.18.2, and so on. 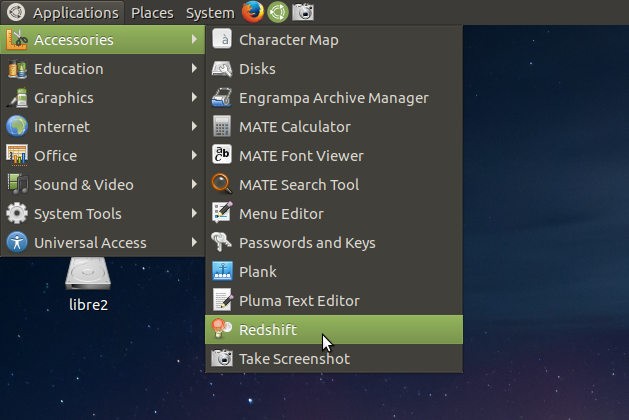 Ubuntu MATE 17.10 also includes Redshift to help you reduce eye-strain. 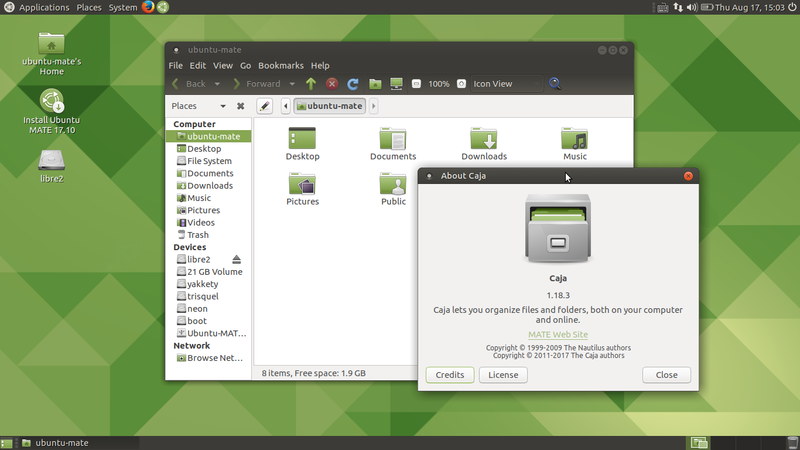 However, Synapse is removed in this release.